When you rent the Cool Creek Ranch in Yaak, Montana - you rent the entire lodge exclusively! 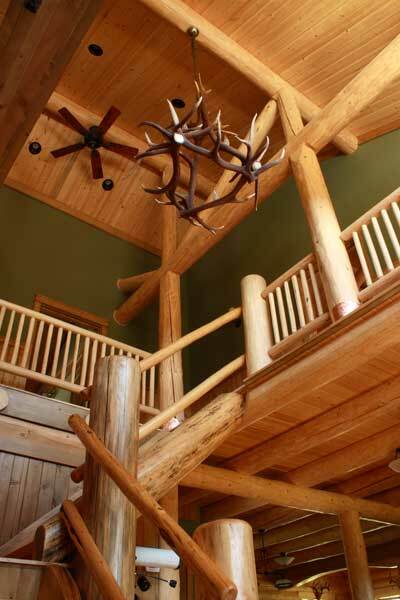 An impressive natural log two story lodge with rich knotty pine ceilings and hickory wood flooring throughout. 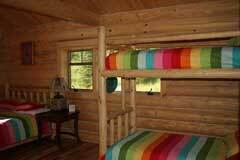 It offers 3048 square feet, is completely furnished, and sleeps up to 15 people comfortably with beds and sleeper sofas. 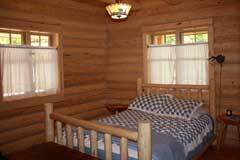 Weekly Rentals (minimum of seven day rental). 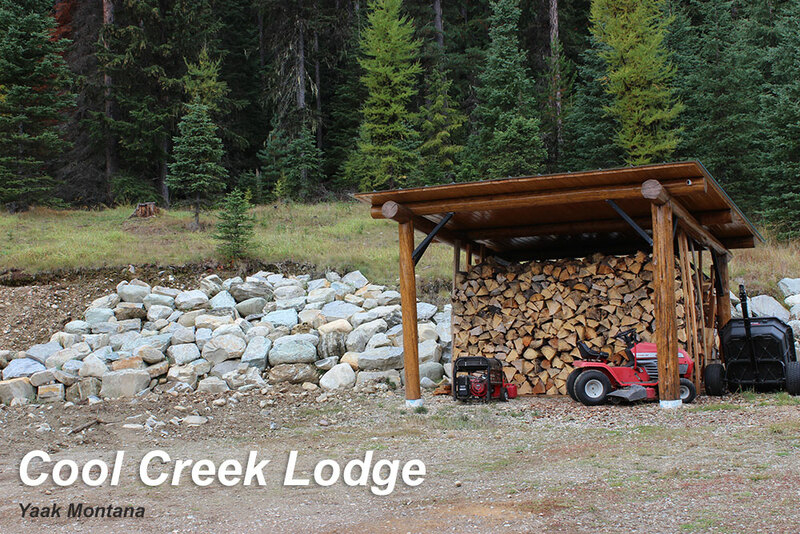 Wildlife and nature is just steps away from the lodge! 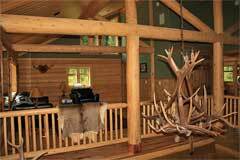 Bear - Moose - Elk - Whitetail Deer - Eagles - and lots more!! 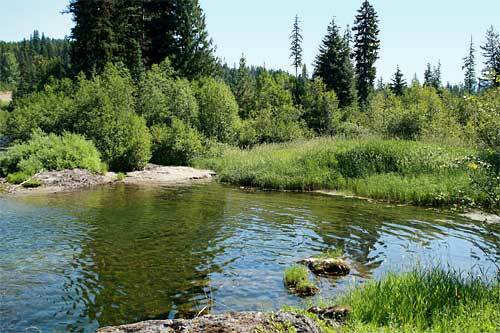 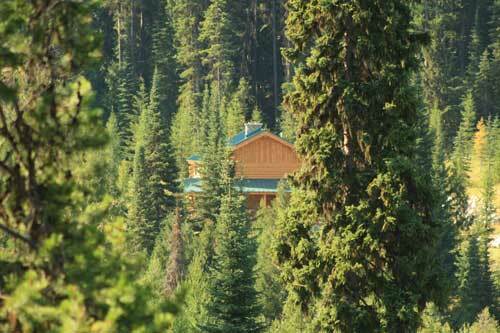 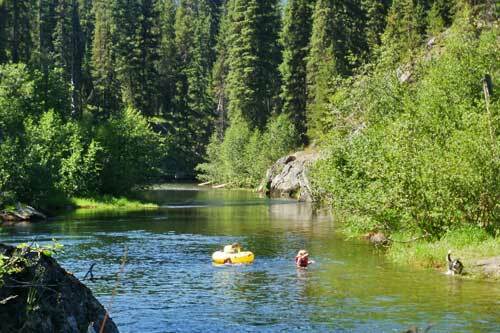 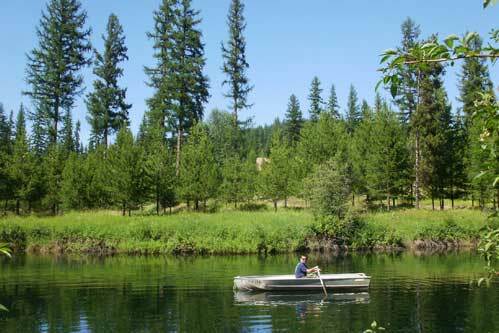 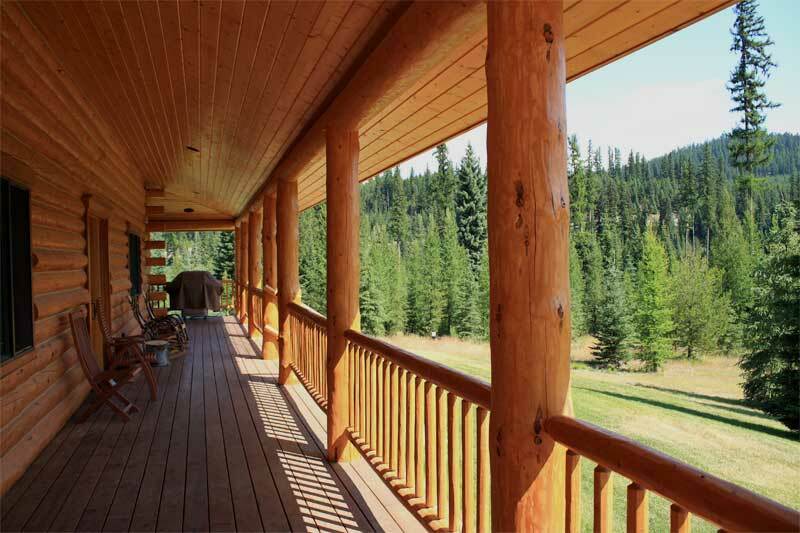 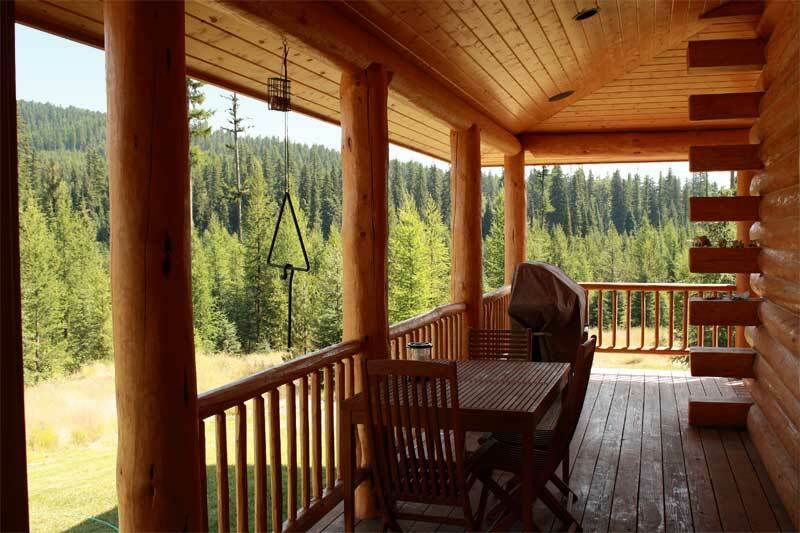 With 95 acres of forest and one mile of Yaak River frontage, there is plenty to enjoy! 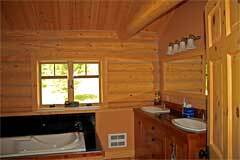 • Miles of ATV / Snowmobile Trails! 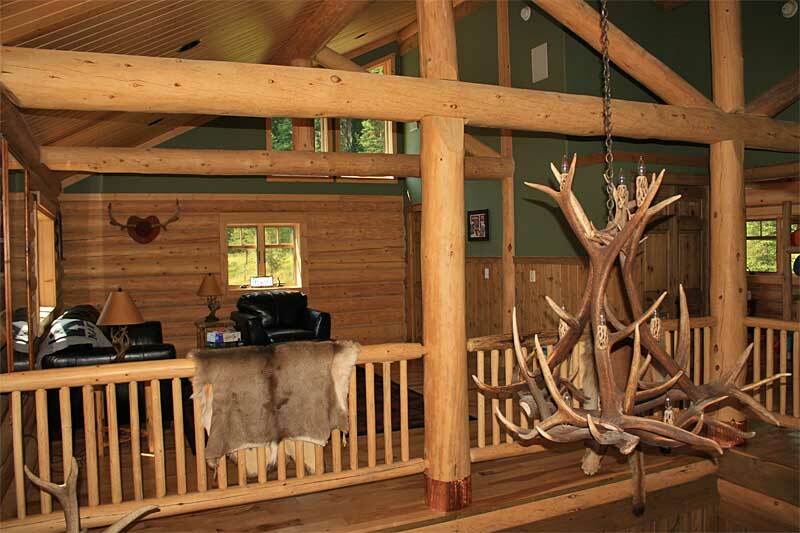 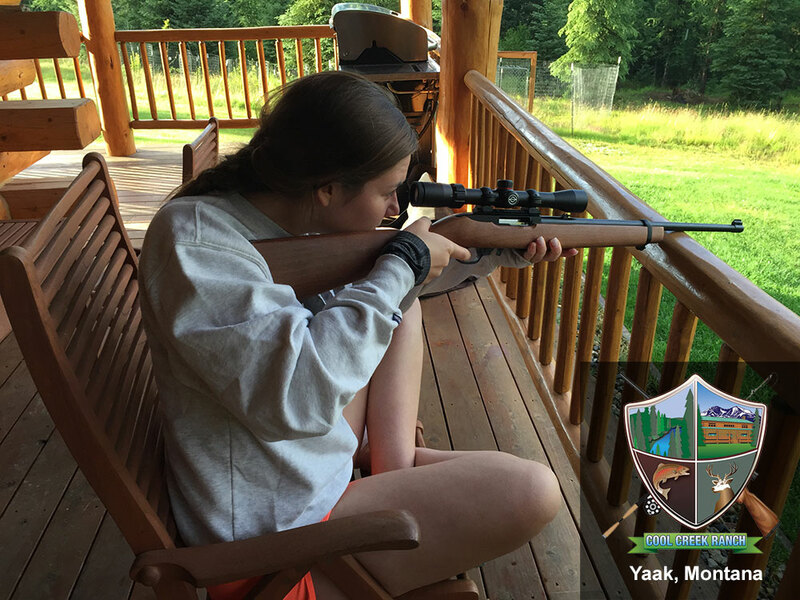 • Hunting Lodge: Hunters - you don't need to travel anywhere! 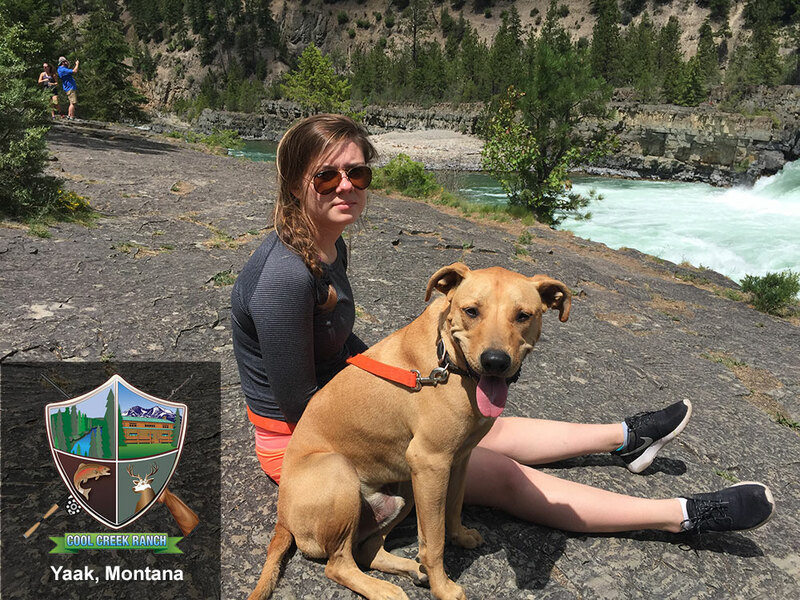 The nearby community of Yaak, Montana has two restaurant/bars, a small grocery store, gas station and a boat landing area. 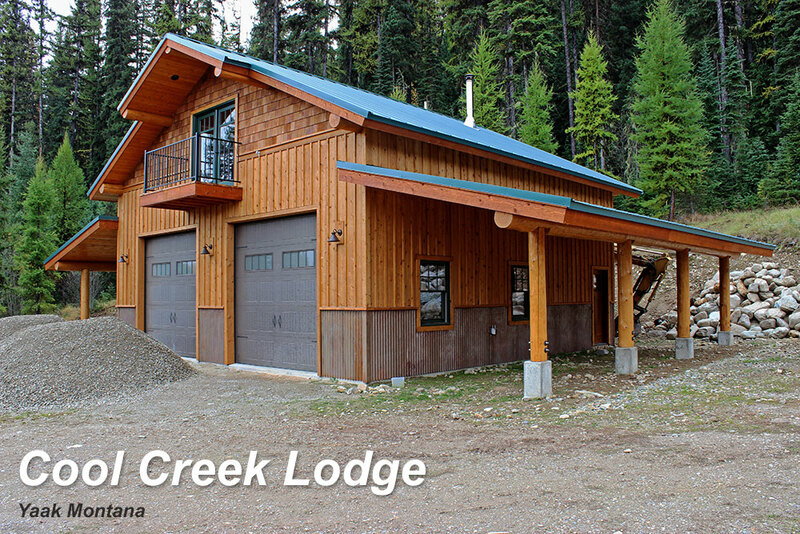 The first thing you notice about the lodge is the covered wrap around 1500 square foot deck. 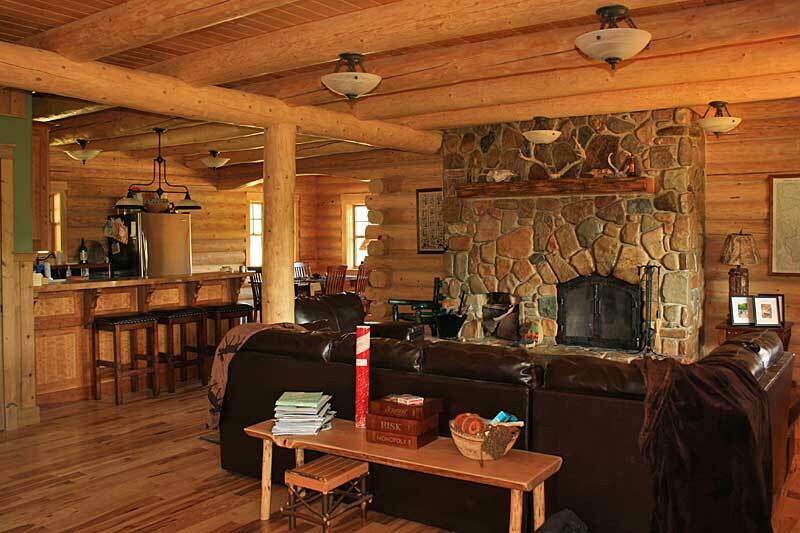 Guest chairs and tables are located on each side. 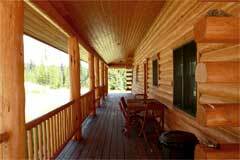 Quick access to the inside of the lodge is from any of the entry doors on each side of the lodge. 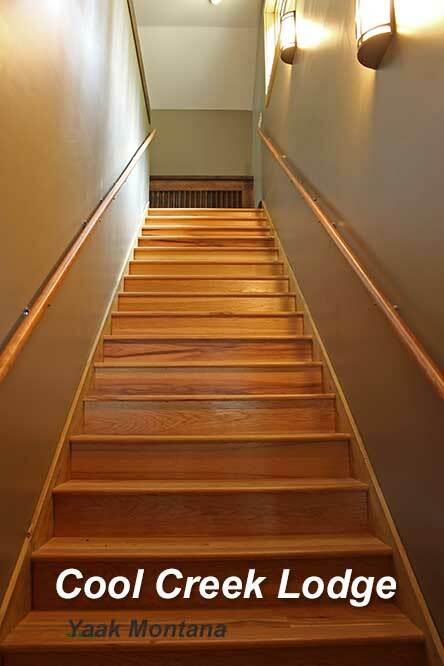 A beautiful and sturdy stairway with a large anter chandelier light fixture leads to the second level. Spacious living room includes a rock fireplace, two sofas, and a window overlooking the lawn and into the forest. 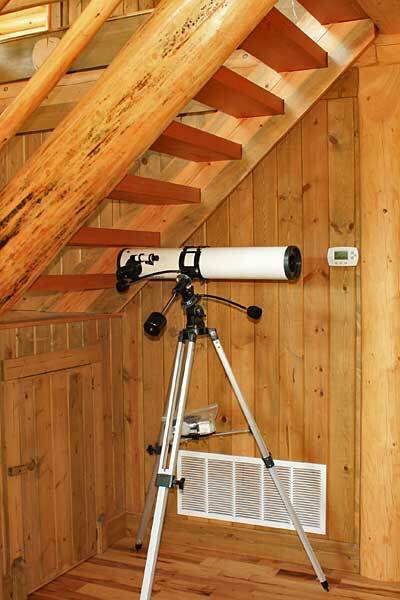 Enjoy the night sky and watch the stars with this telescope. 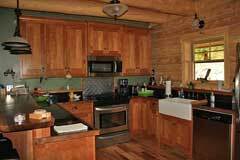 The full kitchen includes rich cherrywood cabinets, black granite tile countertops, and a beautiful black walnut bar. 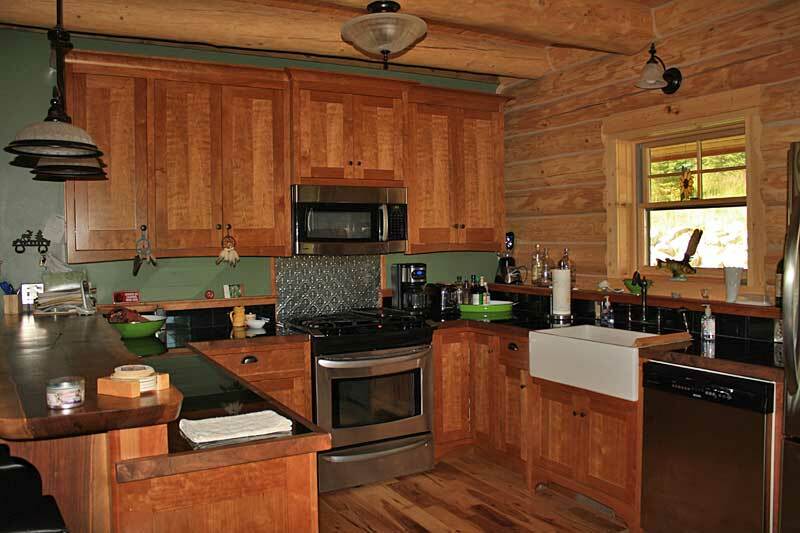 The kitchen is complete with dishes, glasses, and utensils. 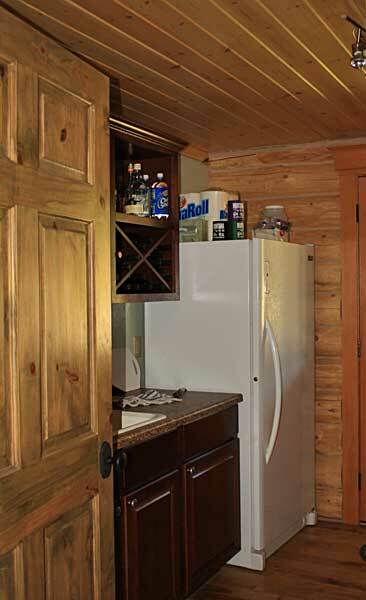 Appliances include a Gas Stove, Microwave, a 21.9 cubic foot Refrigerator, Dishwasher, and Coffee Maker. 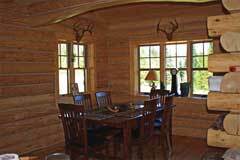 The dining area offers seating for six with views of the forest just past the lawn area. 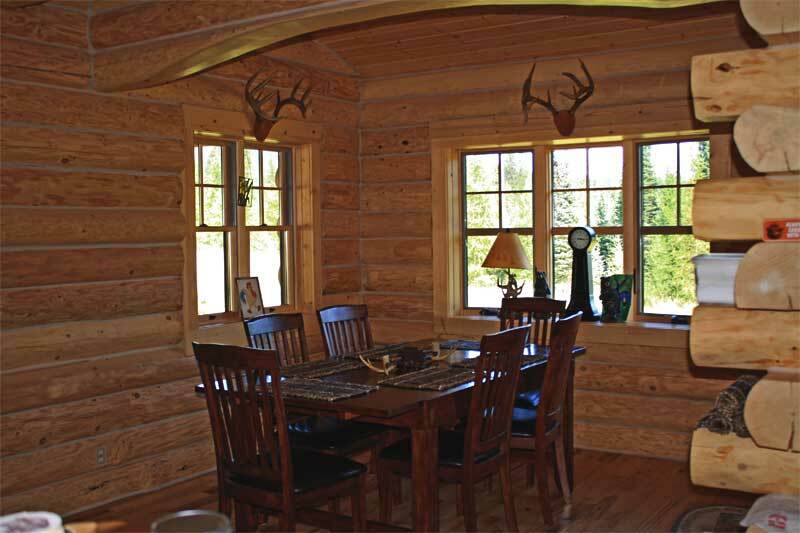 A door leads out onto the covered wrap around deck is off the dining area. 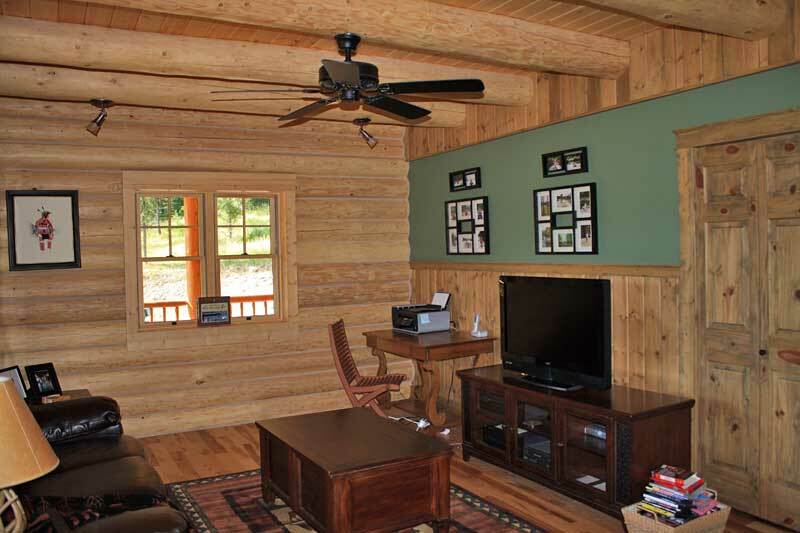 Relax on the leather sofa while watching a wide screen tv, or a small desk is available for you to use. 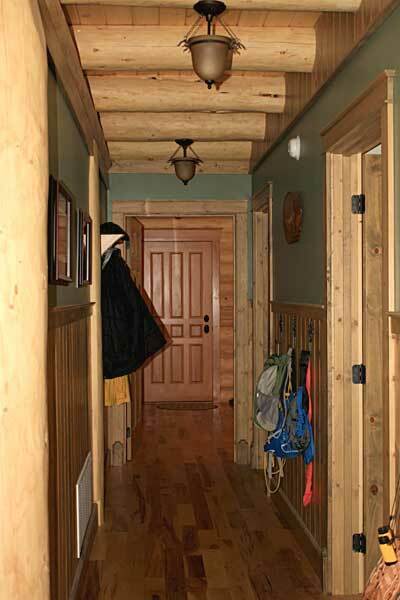 Coat racks are available in the spacious hallway. 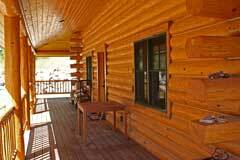 This roomy Guest Suite is located on the first level, and even has it's own exit door to the wrap around deck! 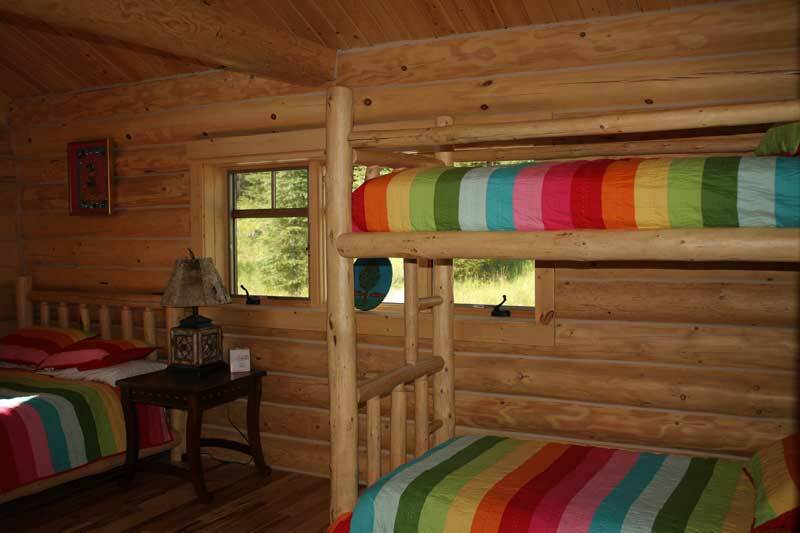 Features a Queen Size bed. Accomodates up to 2 People! 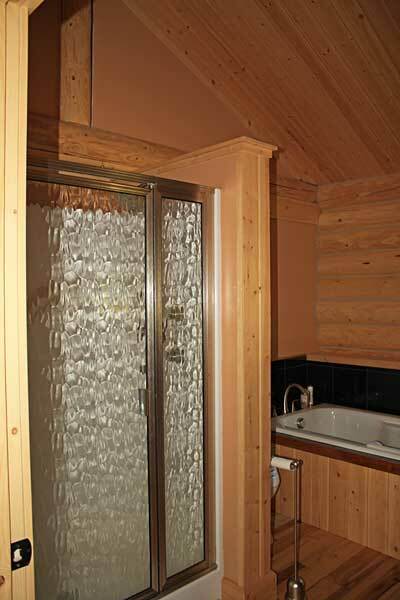 The full bath offers a tub/shower. 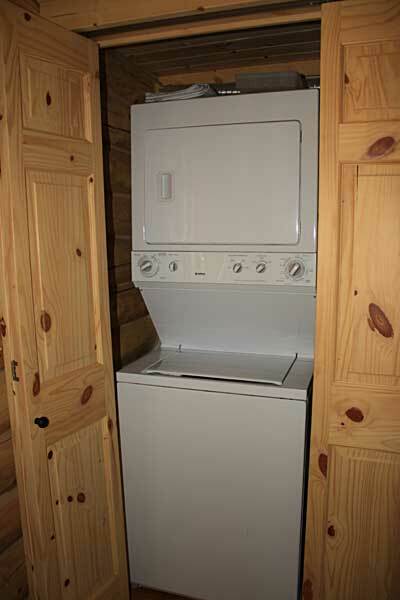 Freezer, additional cabinets, countertop and sink along with a stackable washer and dryer. 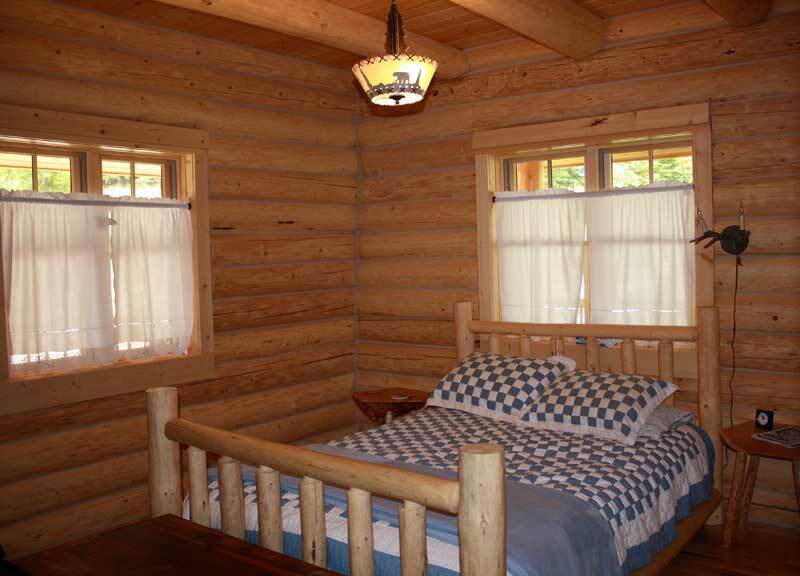 The upper level offers a Master Suite, Game Room, Bunk Room, and full bath. 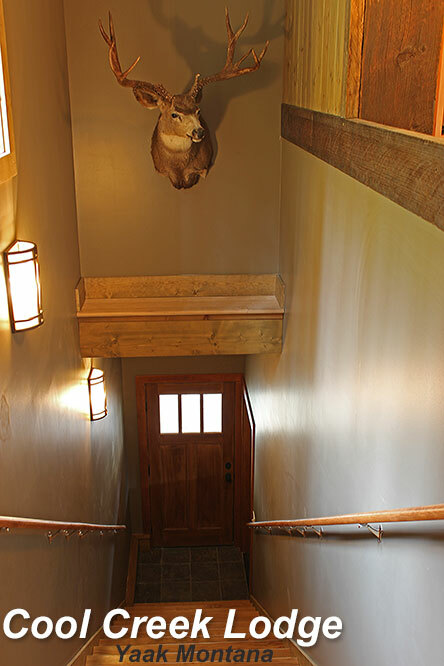 The view looking over the stairway to the Game Room. 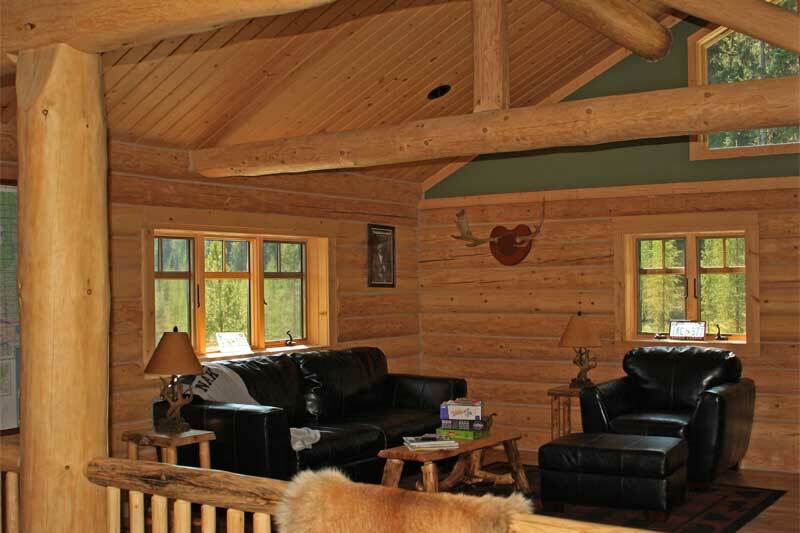 Featuring a leather sofa sleeper that sleeps two, and a relaxing leather lounge chair. 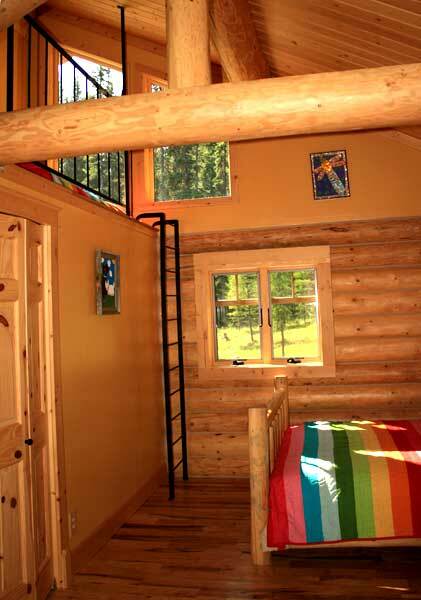 The Bunk Room includes a twin bunkbed, a queen bed, and a twin bed in a loft area. 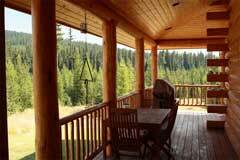 Accomodates up to five people. 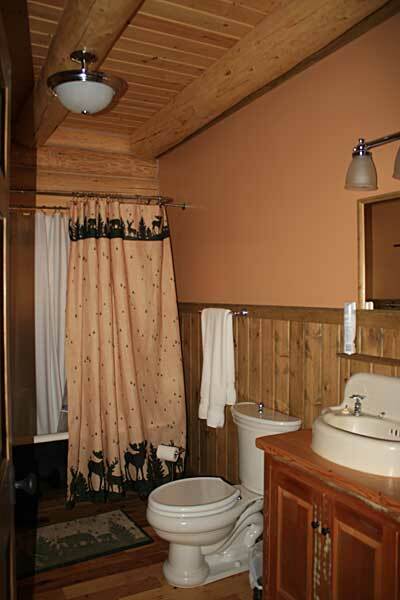 Full size bath with shower and sink. 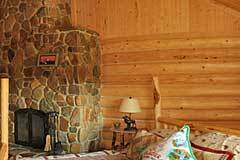 The Master Suite includes a king size bed, fireplace, large walk in closet area, and full master bath. Features a full bath with jacuzzi tub, shower, and his and her sinks. Surround sound stereo system wired throughout the lodge. 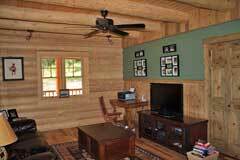 Bring your Ipod and plug in! 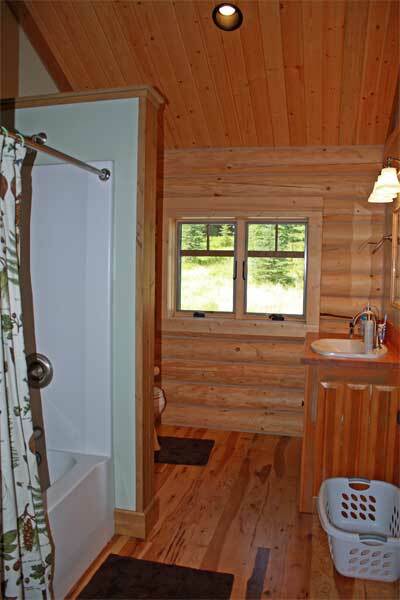 Privacy with the closest neighbor a half mile away. 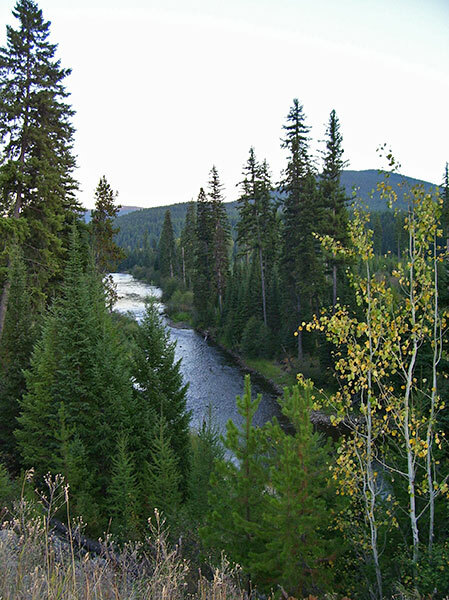 Non-smoking due to fire hazard in natural wilderness environment. 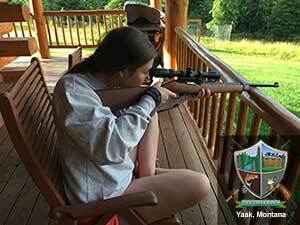 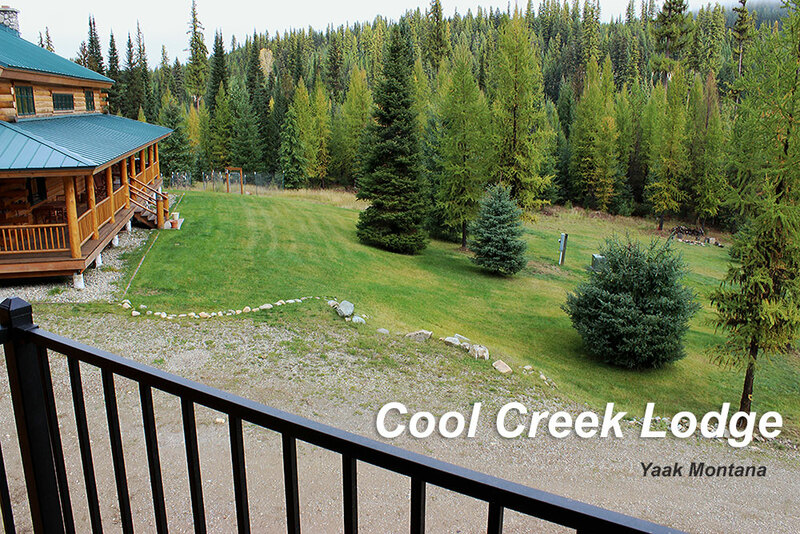 Located on the south side of the Yaak River, the Cool Creek Ranch is easy to travel to. 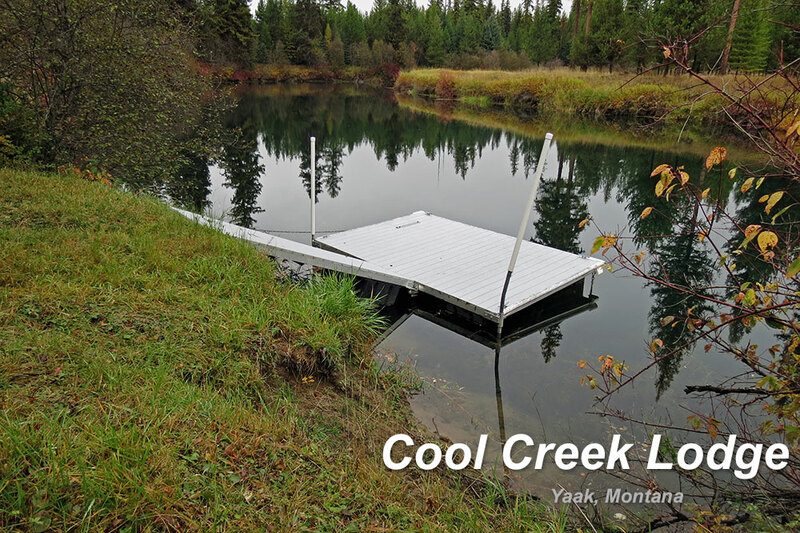 From downtown Yaak, travel on Pipe Creek Road and cross the Yaak River. 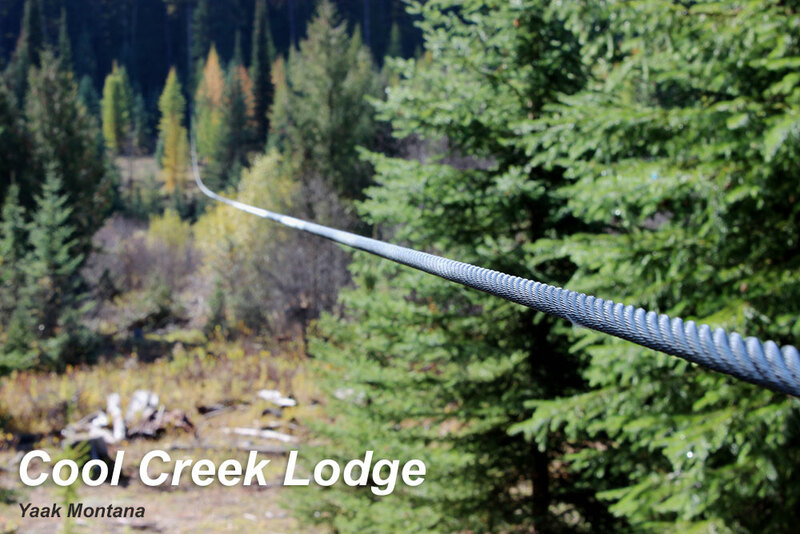 Turn right onto Overdale Lodge Road, go left at the first turn, right at the second turn and left at the third turn to the green gate. Keep on going across Cool Creek to the Lodge. 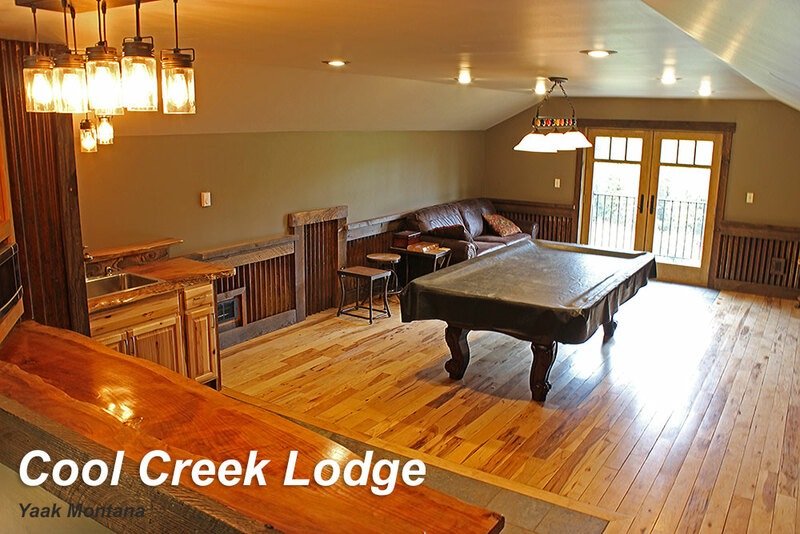 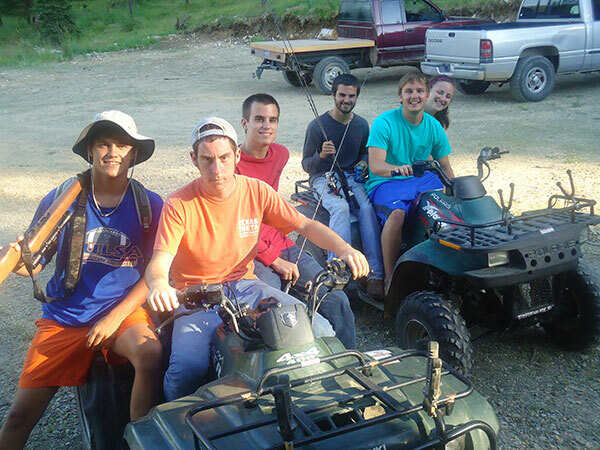 The Cool Creek Ranch is available for rent for a minimum of one week (7 days), with a deposit required in advance. We request an advance notice of seven days. 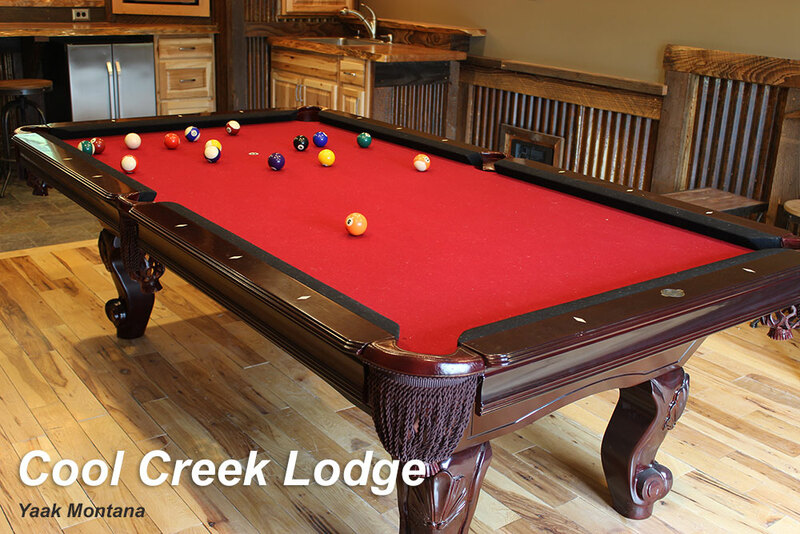 For further detailed information about the Cool Creek Ranch, please contact us at 918-695-5134, or fill out the simple information below. 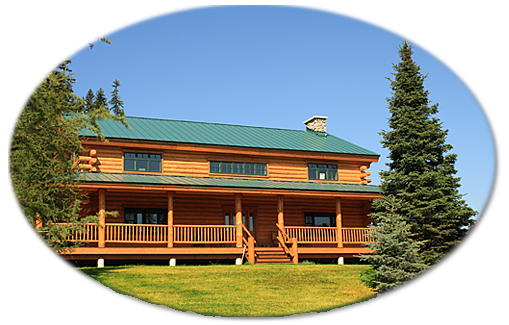 Please provide the best phone number for us to contact you . 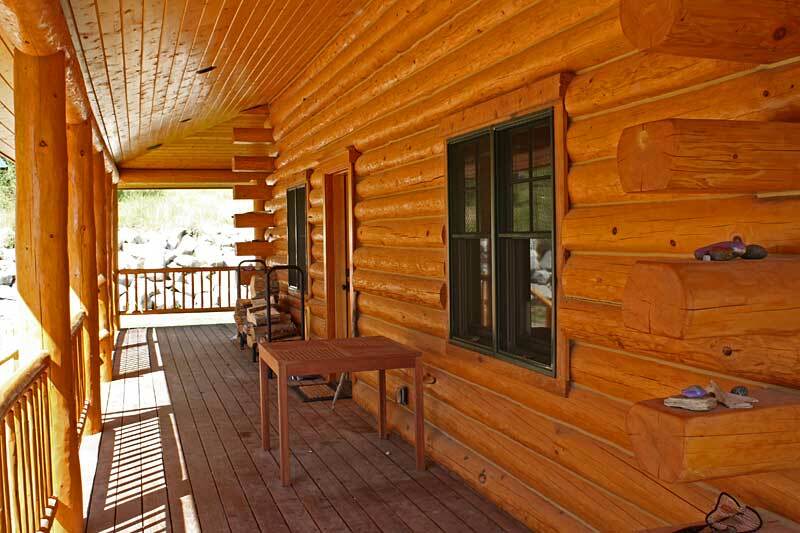 What is your main interest for renting the lodge? 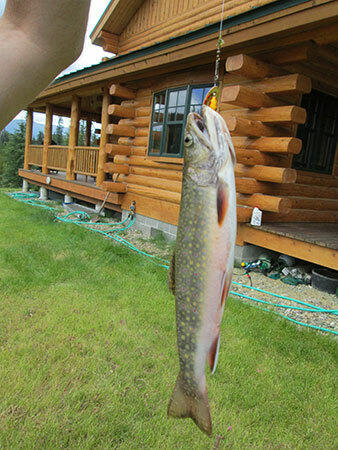 You are visitor # since October 7, 2008!